So in my trip to Bandung with the Openrice crews and also fellow Openricers from #myfoodTiramisu, we had the chance to try some great dessert places. One of those served veggie ice creams that you can check out on my other reviews. The one I'm going to review here can be called as the most memorable dessert I had in Bandung. This is my trip to The Dream's Cake. The Dream's Cake is a home industry specializing in making customizeable cakes, jar cakes, cupcakes, push cakes, I.Mochi.You, and Cococi. FYI, this particular cake shop had also been featured on television too. The interior of the cake shop, well I can say it's not pretty spacious. Mostly the walls are painted pink, and I saw quite many items and stuff with pink color spreaded inside the shop. 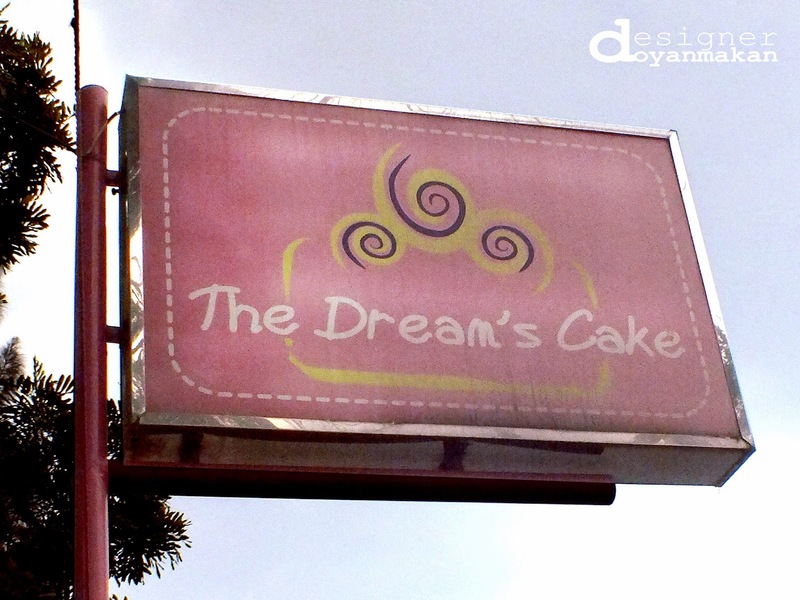 This cake shop has products which were pretty famous in Bandung. The products I'm talking about are I.Mochi.You and Cococi. I.Mochi.You itself is a kind of mochi with an unusual filling. Different from the mochi in Jakarta which has ice cream filling, The Dream's Cake as a cake shop came up with the innovation of making frozen mochis with cake fillings and without preservatives. There are 5 flavors of cake to choose: Green Tea, Nutella, Red Velvet, Cookies & Cream, and Durian. Cococi stands for Coconut Isi. So the dish uses coconut shells as containers. And then they put the mochi (I.Mochi.You), various toppings (fruits or other sweets), and ice creams inside the shell. For the Cococi menu you can have the options to choose ice cream flavors between Red Velvet, Cookies & Cream, Green Tea, and Vanilla. For the mochis you can choose between Green Tea, Nutella, Red Velvet, Cookies & Cream, and Durian. Lastly, for the additional toppings you can choose between Strawberries, Pocky, Kitkat Chocolate and Green Tea, Almond Slices, Edamame, Longan, Hershey, Toblerone, Cha-cha, Kiwi, Peach and Nata de Coco. The prices for the Cococi are vary from IDR 30K - IDR 35K depending on the choices of ice creams, mochis and additional toppings. But still I think it's very worth it. Why? Well, you will see after you check out some of the Cococi I tried. Visually, it's so appetizing. Flavorwise, it's breathtaking. Absolutely delicious. The mochis were so soft, with a perfect thickness mochi skin. And the durian fruit filling was just heavenly. The fruit toppings were nice, adding extra sweetness and freshness in every bite. The ice cream was good, a nice level of sweetness too, and I love the cookie crumble inside the ice cream. Another dessert with beatiful appearence. The flavors was also delicious. I love the mochi, especially the red velvet cake filling inside. It's nice and moist, even though it was frozen along with the mochi. Every other components just added perfection to the whole lovely dessert. It seemed like a lot of us that day really favored the red velvet. Well it did has a great flavor, especially turned into ice cream. It was just sweet tooth haven. Red velvet mochi along with red velvet ice cream? Maybe dull, but it's something that will get me craving next time. It's sweet and delicious! I loved this one. The green tea cake was just superb. The flavors were just right. You know how sometimes it's tricky when it comes to green tea. Some might be less flavored, or some just came out too strong. But this one is good, perfect balance. Again, the cake was moist. Thumbs up. I also loved the almond, added a crispy sensation to the dish. A nice closure to all those sweet tooth delightments was a bottle of coconut water. Not too sweet but refreshing, and definitely helped to cleansed your sugar level. Overall conclusion, this visit certainly broaded my culinary experience. Being my first time ever to tried the famous mochi with cake filling, I was instantly in love with those sweet treats. It's a kind of dessert which will be memorable, not just because of its beautiful appearence, but also for its unique execution and wonderful flavors. So recommended. I encourage you, especially people of Bandung, to try these amazing dessert. I will definitely have another try whenever I am back to Bandung.